Hello! 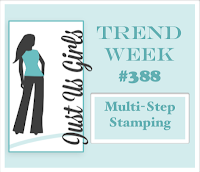 My card today is made with the Emboss Resist technique. I stamped a flower image from GKD A Year of Flowers 2 three times with Versamark and embossed with Clear EP. I sponged the images with DI Abandoned Coral, Dried Marigold, Fossilized Amber, and Squeezed Lemonade. 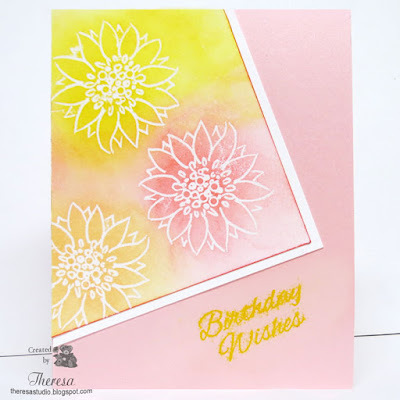 I trimmed the panel and layered this with white CS and place on a Shimmering Pink CS and heat embossed a GKD Sentiment from Wild Flowers with Wow Yellow EP. 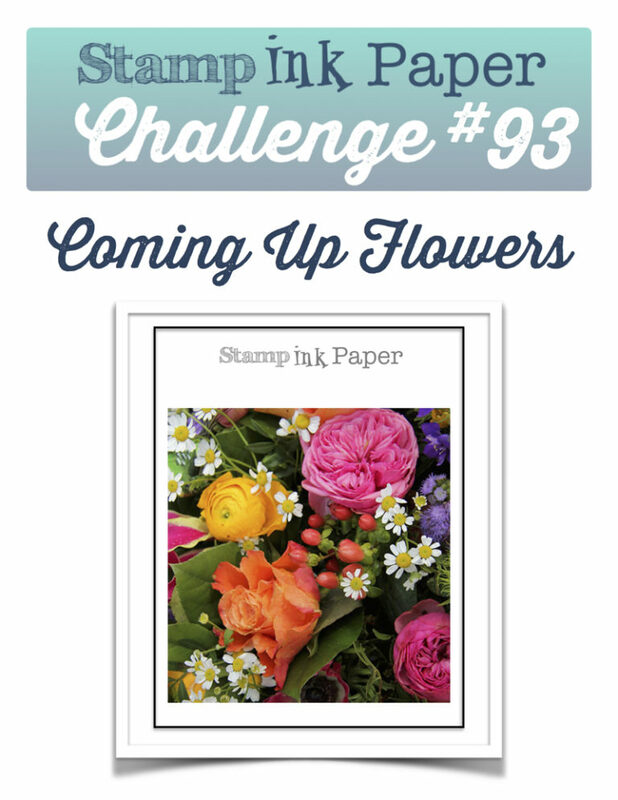 Stamp TV: Release Challenge make a floral card using the Emboss Resist Technique. Hello! 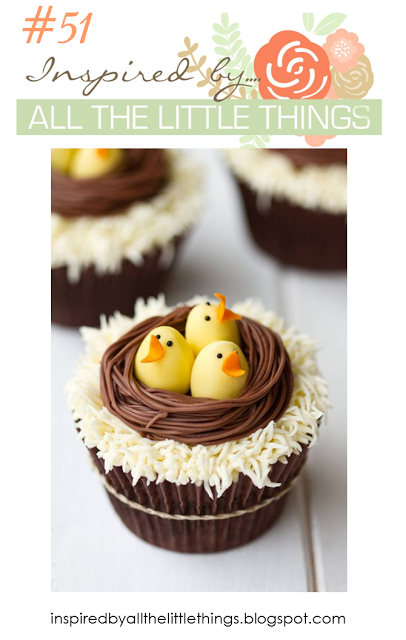 I have another Easter card to share. 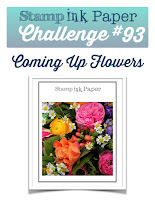 I was inspired mostly by the photo from Inspired By All the Little Things Challenge. My chick was made with 2 circle dies cut from Yellow CS, the nose and feet from Orange CS, and a feather. He was attached to an Oval die cut from Brown CS and embossed for texture with Gingham EF. This was attached to a Shimmering Yellow card base that was stamped with a GKD sentiment from Spring Florals and heat embossed with Zing Chestnut EP. Inspired By All the Little Things: Challenge #51 I was inspired by the peeps and the yellow, orange, and brown colors. 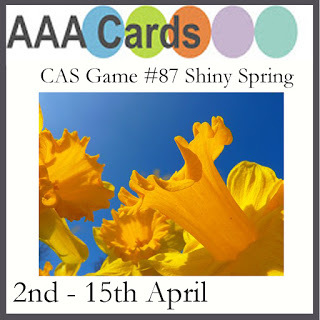 AAA Cards: CAS Game #87 Shiny Spring. 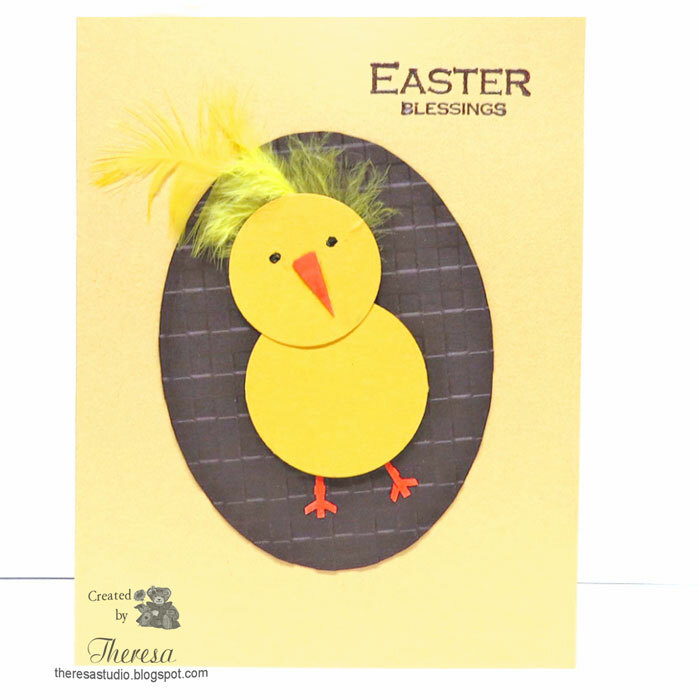 My peep is springy and the Card Base is Shiny and Shimmery Yellow Pearl. The House That Stamps Built: Challenge DCC45 Add a die cut. Welcome to my studio! Thanks for coming by. 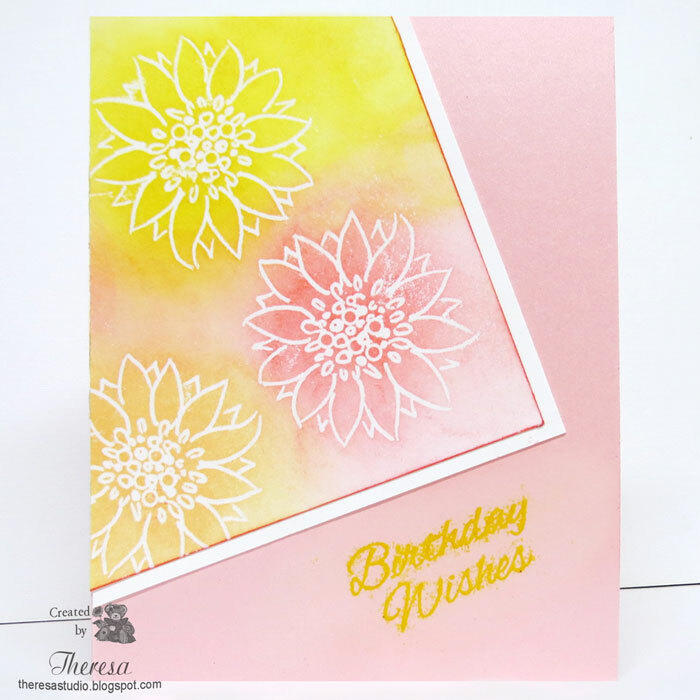 Today I am sharing a card that I made with Gina K Designs' Old Country Roses set. 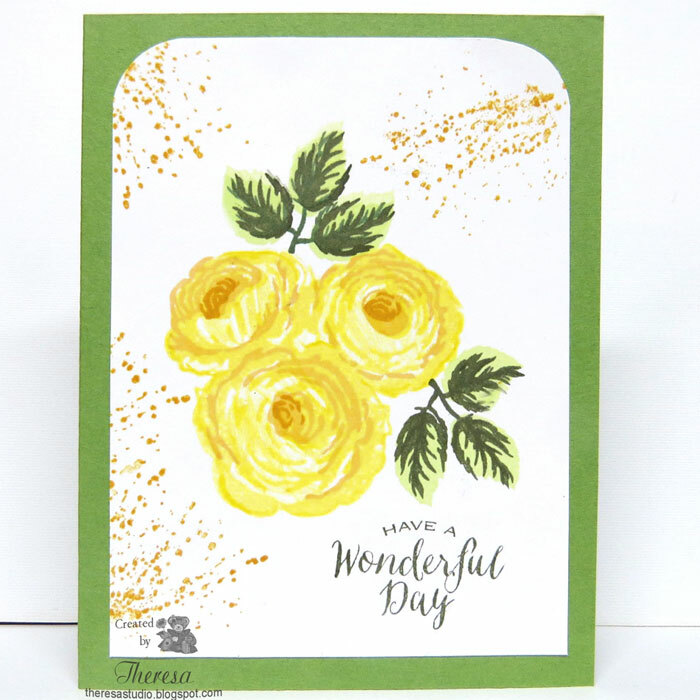 The Roses were done with 3 multi layer stamps using DI Squeezed Lemonade, Memento Dandelion, and DI Fossilized Amber inks. The multi layer leaves were stamped with Memento New Sprout, SU Always Artichoke, and Memento Cottage Ivy inks. Used a GKD splatter stamp (Tiny Textures) with Fossilized Amber and GKD sentiment with Always Artichoke. 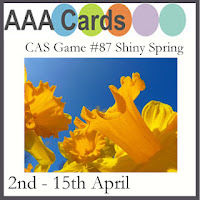 Used GKD Grass Green Card Base. Hello! Easter will soon be here so I am inspired to make Easter cards. 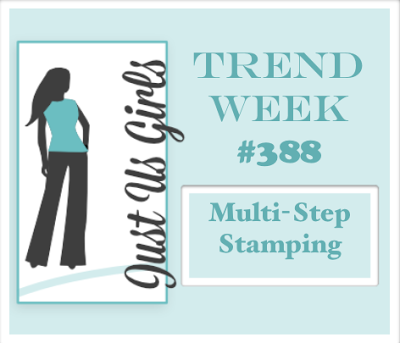 I was thinking of the challenge at Stamp TV when I created this card. I used a GKD Easter sentiment stamp with Memento Green ink stamped 3 times on white CS, GKD Grass Green CS, and a printed clear cellophane panel that was used for wrapping a pot of flowers. I also stamped some foliage with GKD Handmade Botanicals stamp with the sentiments. Finished with a pink Washi tape. 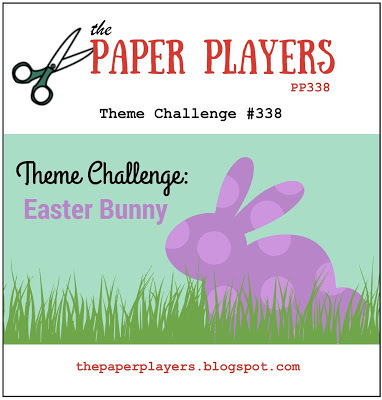 Stamp TV: Mix It Up Monday Challenge-create a “EASTER” card/project…NO FLOWER CARDS. 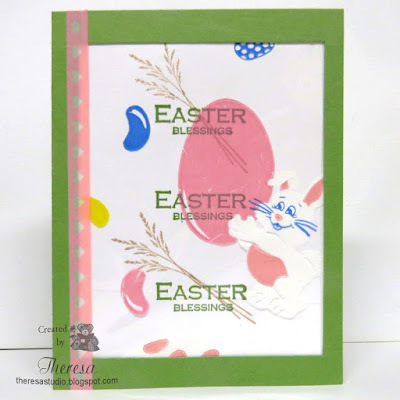 This was a stretch for me since I mostly have Flower stamps from GKD, but I did find an GKD Easter stamp from a old set called Spring Florals. Hello! I have been MIA for a couple of months but am back to share a card that I have made. 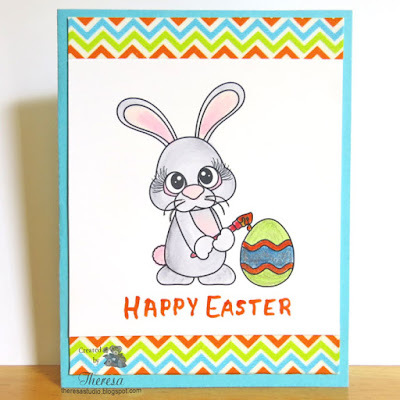 This card was made by printing a digital image Bunny Painting Egg from Craftin Desert Divas and colored with Copics and Glitter pens. I added some GKD washi tape in neon colors and added to a Turquoise card base. 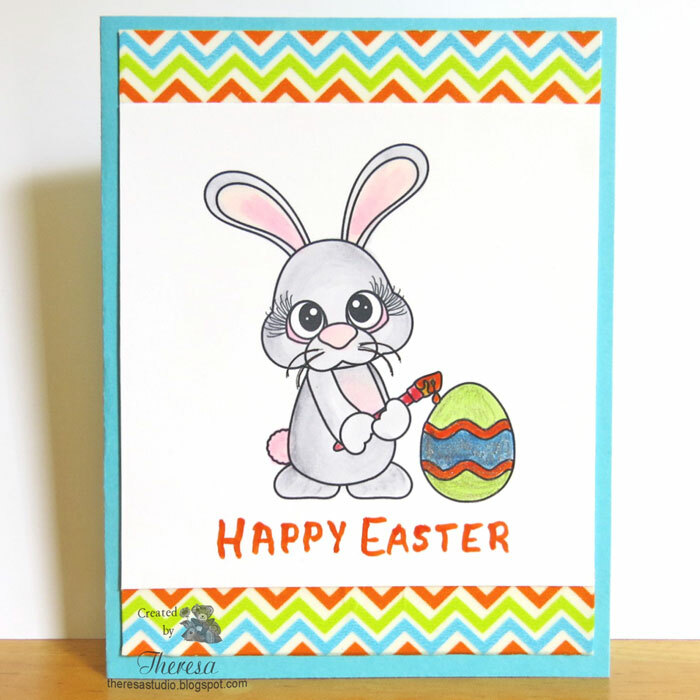 I wrote the sentiment with an orange Copic trying to make it look as if it was painted with a brush by the bunny. 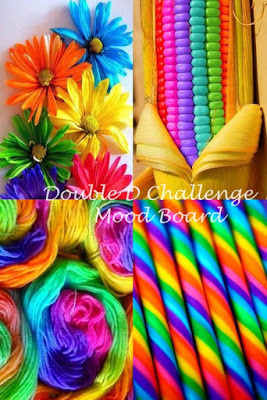 Double D Challenges: Neon/Brights. See Mood board below.